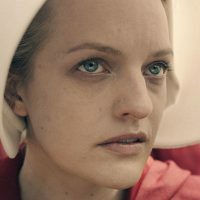 Hulu(LOS ANGELES) — Hulu’s also announced the premiere date for season three of their hit dystopian drama The Handmaid’s Tale. The series returns Wednesday, June 5 with three new episodes dropped for immediate viewing, followed by a subsequent new episode each week after. Unfortunately, the late return means The Handmaid’s Tale won’t be eligible for the 2019 Emmys, due to the deadlines set by the Academy of Television Arts and Sciences.